This cookbook series celebrates New Orleans' family favorites recipes, to coincide with the city's tricentennial. What better way to commemorate 300 years of life in the city we love than by celebrating the thing that truly unites us all: food. Over the course of its 300-year history, New Orleans’ cuisine has been one of its greatest gifts to the world. 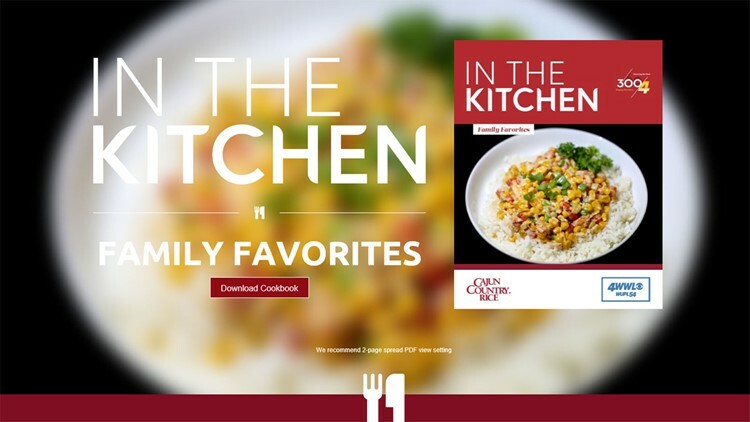 Now, as we celebrate the city’s 300th birthday and WWL-TV’s 60th anniversary, our gift to you is a free e-cookbook, with 'Family Favorite' recipes. This cookbook series celebrates New Orleans’ family favorites recipes, to coincide with the city’s tricentennial. What better way to commemorate 300 years of life in the city we love than by celebrating the thing that truly unites us all: food.